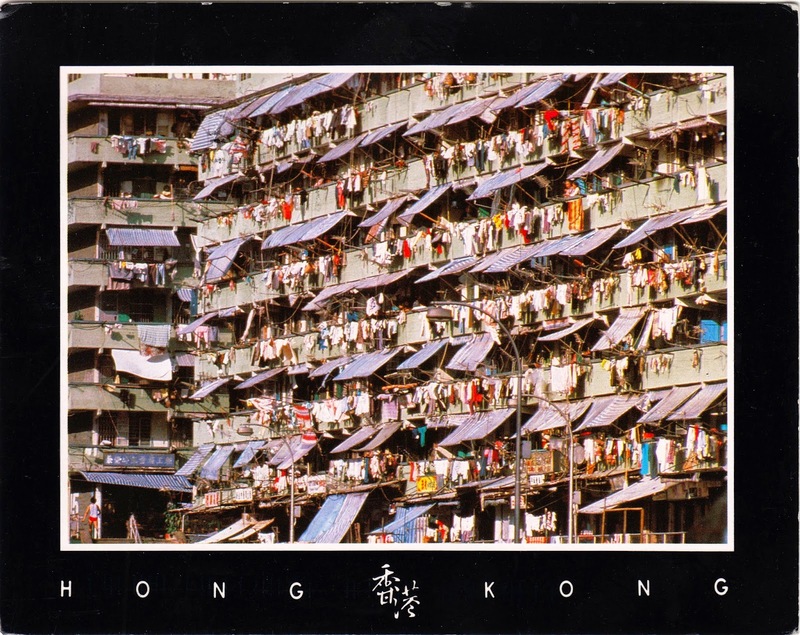 Postcard HK-279697 from Hong Kong shows a public housing estate in Hong Kong where the Hong Kong Government provides affordable housing for low-income residents. Started in 1953, it is a major component of housing in Hong Kong. According to Wikepedia, today nearly half of the population resides in some form of public housing, with rents heavily subsidized by the government. Public housing estates are usually built in remote or less accessible parts of the territory, but urban expansion has left some older estates now deep within the inner city.